Servo Motors are available as AC motors or DC motors. Early Servo Motors were generally DC motors. As transistors became capable of controlling larger currents and switching the large currents at higher frequencies, AC motors were used more often. Early servo motors were specifically designed for servo amplifiers. AC motors are also known as induction motors. Certain changes must be made to any motor that is designed as servo motors. This includes the ability to operate at a range of speeds without overheating and the ability to operate at very low speeds for long periods of time without overheating. Newer servo motors have a separate fan mounted so it will provide optimum cooling air. This fan is powered by a constant voltage source so that it will turn at maximum RPM at all times regardless of the speed of servo motors. Island Components has all the knowledge required for designing complex actuation systems, which include servo motors. We maintain a prototype system and dedicated model shop to provide you with a complete understanding of your electromechanical rotary actuators and servo motors prior to production commitment. Contact us or fill out our RFQ form to find out more about servo motors or other products, such as tachometers and spur gearheads. 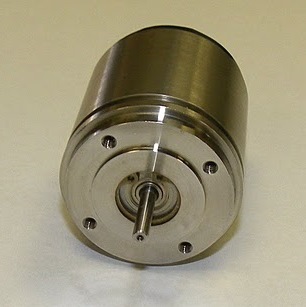 See Brushless DC Motors and Precision Motors.